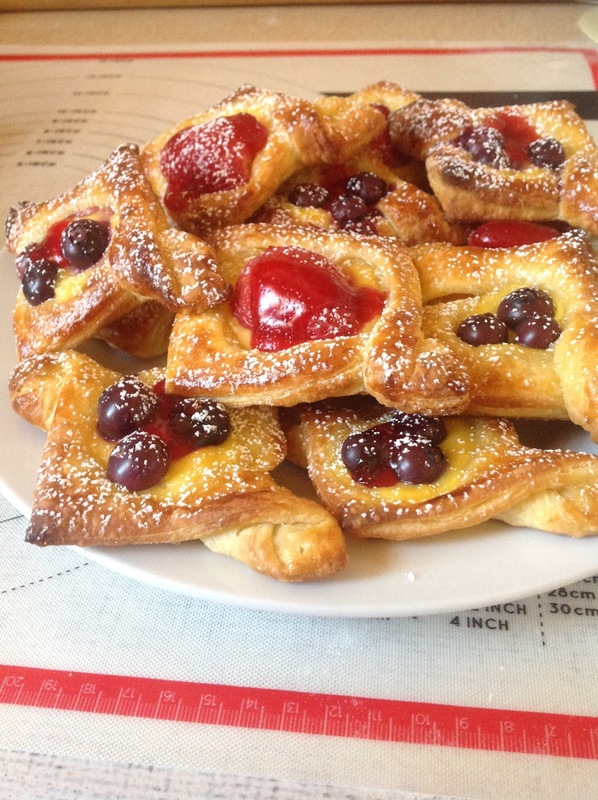 As a part of a trial to perfect Danish Pastry in the Cuisine Companion, I made these delicious little Danish Diamonds. The CC made both the pastry and the custard put in the middle. The most time consuming part of this was the rolling and folding then fridge resting, then rolling and folding then fridge resting, then rolling and folding then fridge resting however it was very therapeutic in a way. I used fresh fruit to top off - strawberries and blueberries - and then a dab of jam on the top. They turned out scrumptious and difficult to stop at one (as a matter of fact I didn't!). The pastry recipe is still being perfected - however I was very happy with these. The Cuisine Companion has certainly made cooking fun for me.